Within various community mental health settings, Dr. Segura-Herrera has provided counseling and therapy to culturally diverse adults, children, families, and couples. Her clinical and research interests include the psychological well-being of Latina/os, the delivery of culturally-responsive mental health services to diverse populations, and the retention through graduation of racial/ethnic minority students in higher education. 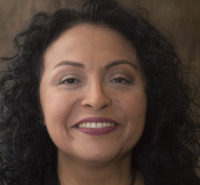 Dr. Segura-Herrera has received distinctions for her dissertation research including the 2009 recipient of the American Psychological Association's Jeffery S. Tanaka Memorial Dissertation Award in Psychology and the 2010 First Place Outstanding Dissertation Award by Education Testing Service and AAHHE (American Association of Hispanics in Higher Education). Dr. Segura-Herrera's publications have appeared in The Handbook of Chicana and Chicano Psychology, Counseling American Minorities, and Journal of Self and Identity and the Latina/o Pathway to the Ph.D. Dr. Segura-Herrera have an extensive experience in working with diverse immigrant populations, particularly supervised experience in delivering culturally and linguistically competent counseling/therapy in Spanish. Gloria, A.M., Castellanos, J., Segura-Herrera, T. A., & Mayorga, M. (2010). Assessing cultural orientation, cultural fit, and help-seeking attitudes for Latina undergraduates. Journal of College Counseling, 13, 126-140. Quintana, S. M., & Segura-Herrera, T. A. (2003). Developmental transformations of self and identity in the context of oppression. Journal of Self and Identity, 2, 269-285.